Kitsap County’s only standalone inpatient hospice center closed this week. The nonprofit Hopsice of Kitsap County board made the decision to shutter the Fred Lowthian Care Center at the end of September. Board President Suzanne Plemmons said a ceremony was held Monday to mark the official closing. Plemmons said there were no patients living at the center at the time of the closure. Hospice of Kitsap has contracted with skilled nursing facilities to provide inpatient care for clients in the future. Hospice of Kitsap will spend January moving out of the East Bremerton space, which is owned by neighboring Stafford Healthcare at Belmont facility. The Fred Lowthian Center provided end-of-life care more than 1,200 patients since opening in 2008. 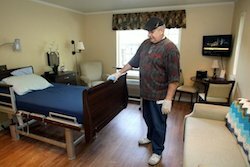 Hospice officials cited mounting budget shortfalls (the center lost $550,000 in 2013) and a shift toward in-home hospice care as reasons for the closure. You can read my full story on the decision to close the center here. The closure was part of a tumultuous year for Hospice of Kitsap, which fired its entire executive team in November. A search for a new executive director is underway. Silver City Brewery is welcoming the new year with a new beer and new look. The Bremerton microbrewery announced the introduction of Cold One Pilsner to its seasonal lager rotation with a news release Tuesday. Cold One is being distributed in bottles and cans this month, with draft available in January. 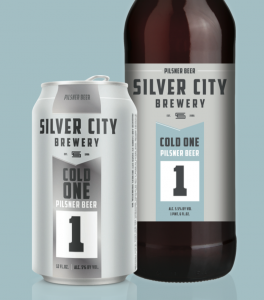 Cold One is the first Silver City release to showcase the brewery’s new branding. Silver City worked with Blindtiger Design of Seattle to create a new master logo and logos for each beer. New packaging will roll out in 2015. Silver City was founded in 1996. It’s Kitsap County’s largest brewery. A new-and-improved Harper Pier should open to the public by the middle of next month. A ribbon cutting is set for 10 a.m. Jan. 16. U.S. Rep. Derek Kilmer will attend. 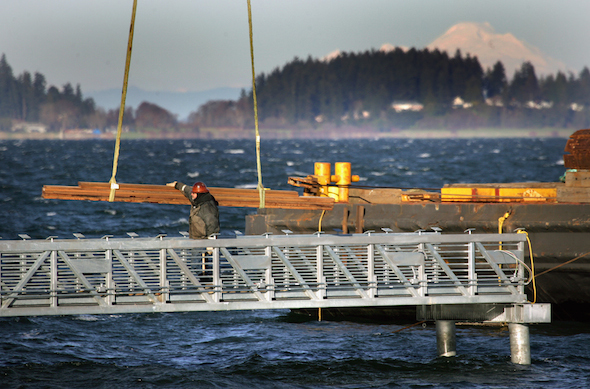 Contractors hoped to have the new dock ready by the end of the year. But Port of Bremerton Facilities Maintenance Manager Lamarr Wright said progress has been slowed because a shipment of electrical fixtures hasn’t arrived. The delivery was held up by the labor disputes disrupting shipping at Puget Sound ports. The same labor disputes forced container ships to anchor off South Kitsap this winter. Wright said Harper Pier is still on track to be completed by Jan. 15, within the original projected timeline for the $1.3 million project. The Friends of Harper Pier page on Facebook is a good place to keep up on Harper news and find lots of cool pictures of the new structure. We learned late last week that the Albertsons stores in Silverdale and East Bremerton, and the Safeway in Port Orchard were among 146 locations being acquired by Haggen. 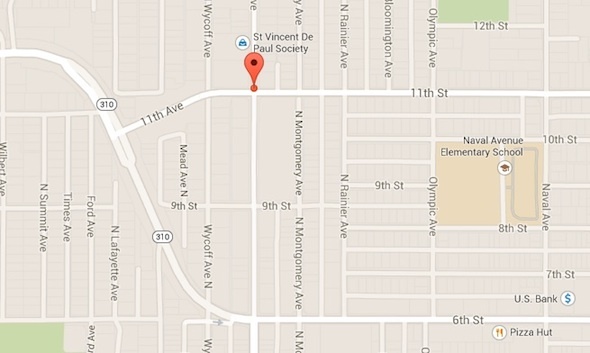 (See a map of locations here). The news generated a lot of interest and questions from readers, particularly those whose neighborhood stores are changing hands. Q: Why have I never heard of Haggen? A: Haggen has been around since 1933 but most of its 18 locations are up north in Whatcom and Skagit counties. If you haven’t live up that way you may not have bumped into one. On top of that, the chain was actually shrinking rather than growing before this blockbuster deal was made. It’s still Washington’s sixth largest private company (remember behemoths like Amazon and Microsoft are publicly traded). Backers of a proposed Bremerton marijuana shop got lucky in a lottery held last week by the state Liquor Control Board. The lottery was a mulligan of sorts for eight applicants who’d mistakenly been left out of the mega lottery last spring. The eight were given the same odds as their counterparts in the original lottery (you can read about the methodology here). Sensibility, a pot shop proposed for 1107 N. Callow Avenue in Bremerton, scored well enough to have its application processed. It will go through the same vetting process as all the other proposed shops. Bremerton doesn’t have a recreational marijuana shop open inside city limits yet (HWY 420 is just outside). The state allocated the city two licenses (Bainbridge Island gets one and the rest of Kitsap gets seven). The lottery held last spring determined which applicants would be first in line to get the limited number of licenses. The Bremerton results are posted below. 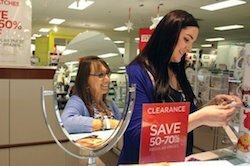 If you’re interested in buying health insurance through the state exchange, and want your plan to kick in Jan. 1, you need to sign up by the end of business Tuesday. Customers renewing their Qualified Health Plans through the exchange also need to sign up by 5 p.m. Dec. 23 for Jan. 1 coverage. Those who aren’t worried about getting their coverage on New Years Day can still enroll through Feb. 15. Apple Health (Medicaid) enrollment continues year-round. The enrollment period began Nov. 15. About 10,000 Washington residents signed up for private plans through Healthplanfinder by Dec. 11 and another 46,000 renewed coverage, according to a news release. An additional 480,000 had accessed Medicaid coverage. This is the second year for the state’s health exchange. Albertsons stores in Silverdale and East Bremerton, and a Safeway in Port Orchard will soon be operated by Haggen Food. The Bellingham-based grocery and pharmacy chain announced an agreement Friday to acquire 146 existing stores. 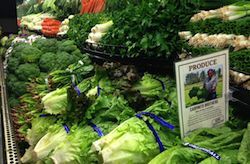 The deal is part of the divestment process necessitated by a Federal Trade Commission review of the Albertsons/Safeway merger. In Kitsap County, Haggen will take on the Albertsons stores at 2222 NW Bucklin Hill Road and 2900 Wheaton Way, as well as the Safeway at 3355 Bethel Way. The Gig Harbor Safeway at 4831 Point Fosdick Drive was also included in the deal, which still requires FTC approval. You can see a map of all the stores acquired by Haggen here. 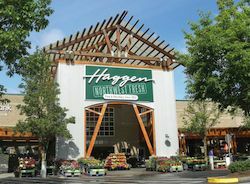 All the acquired stores will switch over to the Haggen brand during the first half of 2015, according to the announcement. The deal means Haggen will expand from 18 stores with 16 pharmacies to 164 stores with 106 pharmacies. Its staff will grow from 2,000 employees to more than 10,000 employees. All Albertsons and Safeway employees at the acquired stores will be given the opportunity to stay on with Haggen, according to the announcement. Management teams will be kept in place. “We want to retain these existing teams while allowing our growing company to build on their past successes,” John Clougher, Haggen CEO for thePacific Northwest, said in the announcement. Former Harrison Medical Center Chief Operating Officer Adar Palis has been named to the same position at Tacoma General Hospital. MultiCare Health System announced the hire Wednesday. Palis worked at Harrison for more than a decade, before departing the organization abruptly this fall. He left while Harrison was in the process of selecting a president to replace retired CEO Scott Bosch. Palis officially resigned Dec. 4, according to a statement from Harrison. “We thank Adar for his years of service to our organization and wish him much success as he departs to pursue other interests,” the statement said. 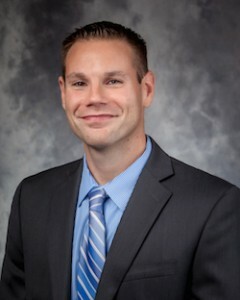 Harrison selected former Overlake Medical Center COO David Schultz as its new top executive. Schultz started work at Harrison Monday.